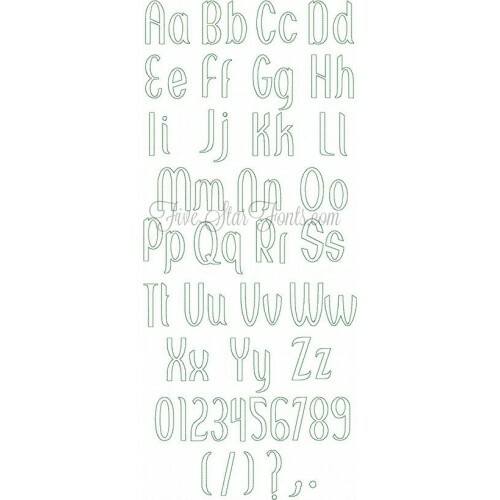 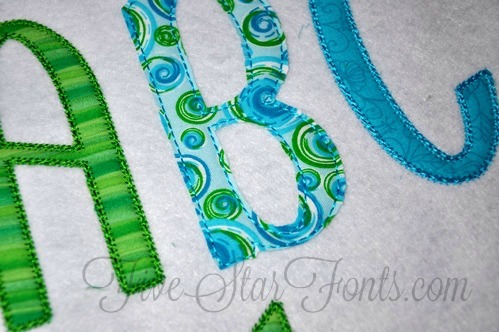 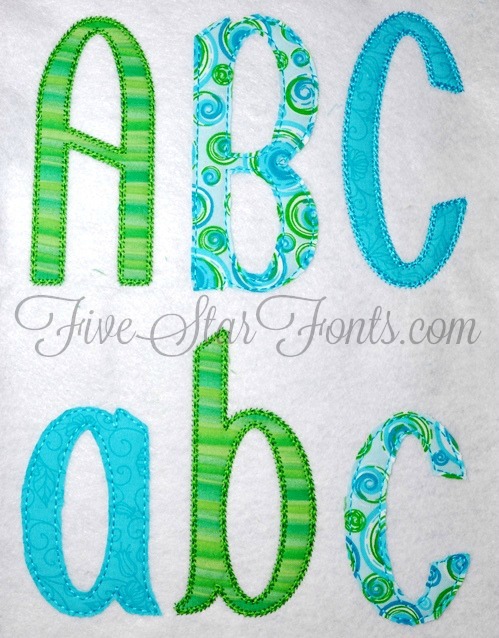 These applique letters are lightning fast to stitch - see the LOW STITCH COUNTS below. 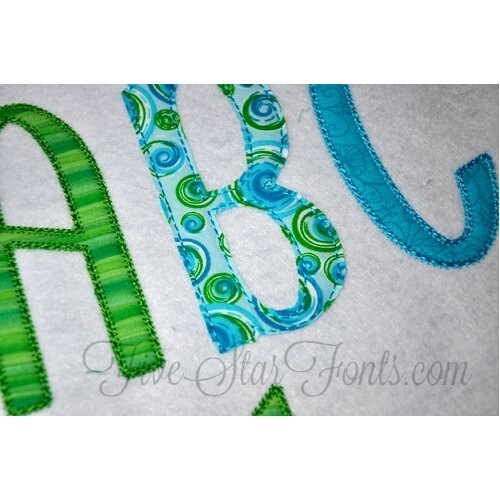 Two styles of stitching included, bean stitch and decorative stem stitch. 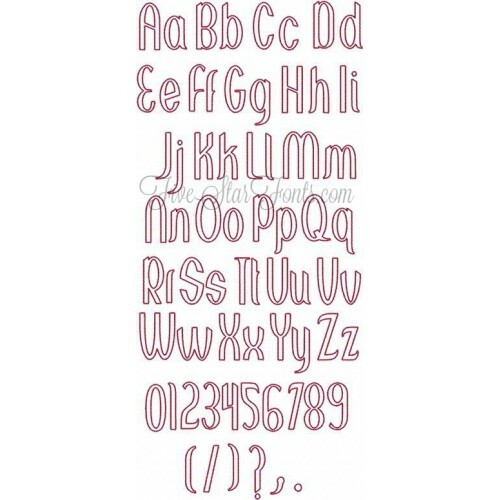 You can see all the letters in the photos above. 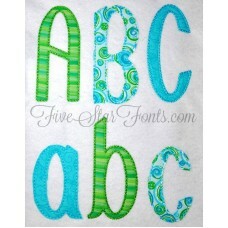 Perfect for customizing kids clothing, Bibs, Burpies, Treat Bags, etc. 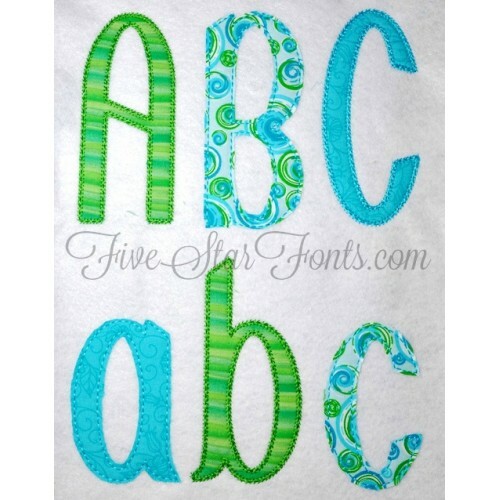 Excellent choice for both boys or girls.